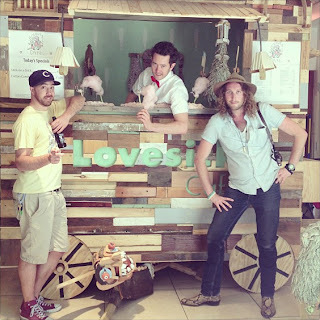 individuals blog: Lovesick Cafe Food Truck open for buisness! Lovesick Cafe Food Truck open for buisness! !ND!ES got invited back to the 2nd anual CREATE event last weekend at the BCAE. This year we whipped up a life size food truck themed around our Lovesick Cafe pieces. Alex Crabb of Asta was serving up Asparagus wrapped in cotton candy and the delicious 'Stick on a Stick'. The replica is fully stainless steel made, white dial with black printing, coupled with stainless steel case and bracelet, this replica watch looks very elegant, fresh and common design, but the dial has a good readability because of red “MILGAUSS” lining and red second hand tip.f you want to wrap yourselves in top fashion and elegance, our Givenchy Obsedia Bags Replica is a best alternative.Chinese photography artist’s work, let a woman wore wigs appeared in an unknown location, the classic Lady Dior handbag has accompanied her.